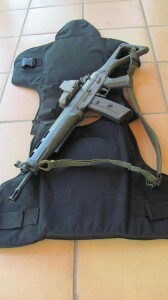 A European client of ours sent us a few pics of his OTV LBAV body armor carrier and his Sig 551-2 SWAT SP. This weapon is a compact version of the swiss army Sig 550 wich is longer. It's a semi automatic rifle, gas piston operating, chambered in 5.56mm. This version was supposed to be dedicated especially for US market for police teams. 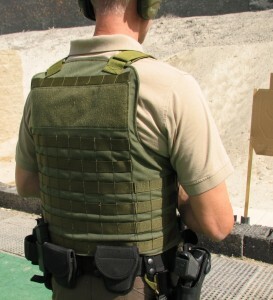 The OTV LBAV body armor carrier is our low profile carrier that supports US IBA Interceptor soft armor. 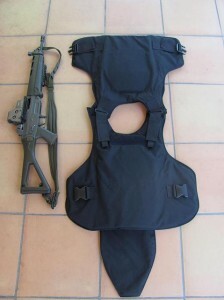 The carrier allows the operator to take the three piece, front opening IBA soft armor and convert it into a two piece body armor carrier. The carrier is designed to hold front and rear SAPI plates. 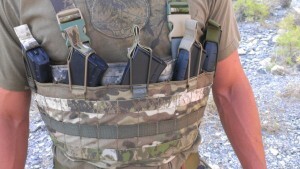 This is a great way to use that IBA armor in a different outer tactical vest. 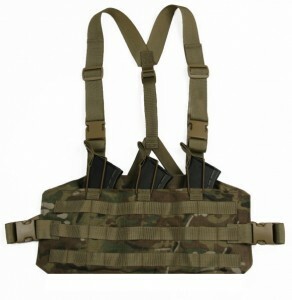 The OTV LBAV carrier is available in Multicam, A-TACS AU, A-TACS FG, Coyote, Khaki, Ranger Green, OD, Woodland and Black. 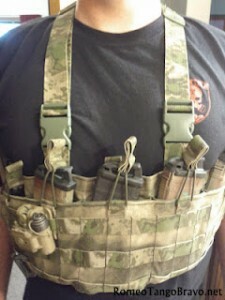 Do you have a set of custom cut body armor and can't find a carrier? 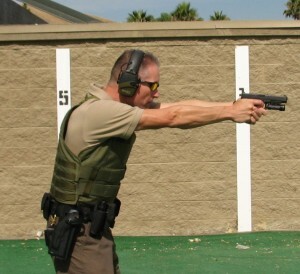 Or do you need to convert that soft armor into an outer tactical vest? Our custom body armor carriers do just that. 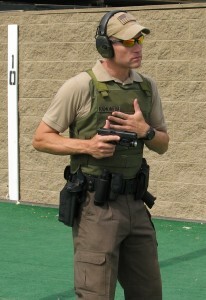 Many Law Enforcement and Government agencies have custom cut body armor that are issued with a light weight cotton carrier that doesn't support molle attachments or support hard plates. Security Contractors, Executive Protection Professionals and Private Investigators use body armor as well and need the ability to take their low profile custom cut soft armor and increase the level of protection with hard plates. An Executive Protection Service and training company, Up Armored USA contacted us about enhancing some of their NIJ style cut soft body armor with new custom body armor carrier that would support front and back hard plates. They also need molle on the rear of the carrier for a small med kit, some additional small molle compatible pouches and attachment points for a hydration carrier. Both the front and back of the carrier have large 4” velcro loop for identification patches that run the length of the carrier. We can take any custom cut body armor, NIJ, BALCS, OTV or IOTV cut armor and make a carrier. All we need is a paper outline of the body armor and a few details about the custom carrier and we can make the carrier to fit. 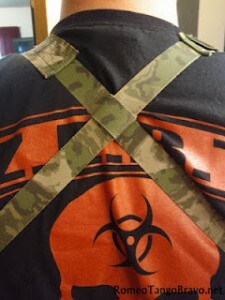 Here is a link to our custom body armor carrier instructions – Custom Carrier Instructions. We offer nine different colors -Multicam, A-TACS AU, A-TACS FG, Coyote, Khaki, OD, Ranger Green, Woodland and Black. A couple different waist configurations – elastic, buckles, cummberbund. Molle and velcro options. Hard plate pockets and drag handle. You can design your custom body armor carrier for your threat environment. Here are a few pics from their blog post. All of our gear is available in many different colors: Multicam, A-TACS AU, A-TACS FG, Coyote, Khaki, OD, Woodland and Black. By special request GNC. You can also see the Recon/LE Chest rig on our store. For more information and pics of the AK TAP click on the AK TAP link on the right side of the blog. The newest unofficial camo submission to the US Army Camouflage Improvement Effort. We call it (GNC)GucciFlage Nightmare Camo. We know the Army’s in Phase IV of its camouflage project. We hope it is not too late to submit GNC to the family of camo project. Make everyone happy or make no one happy. Cause enemy confusion – Is it the Marines, Army, Airforce or Navy. Who is it? Support the Signature Management challenge. Make a hybrid camo solution. Account for the shrinking defense dollar. Work in a micro environment. A Multi-camo, Multi- terrain, Multi- environment, Multi-seasonal, Multi-everything camo. The camo has been subjected to and undergone micro live field trials for simple transitional environments. Please view attached pics. Gucciflage Nightmare is now available by special request and ready for those special enough to wear it. You never know what you will get. Contact us for more information about GNC. 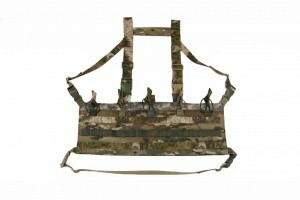 We just closed a successful AK47 chest rig group buy with members from the AKfiles forum. Thanks again guys. A couple questions were asked during the group buy. Will AK74/AR mags fit in the AK47 chest rig? Yes, they will fit but we design the rigs to fit the mag. So they are not designed for this rig. 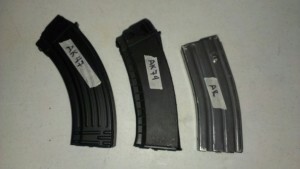 Will AK47 mags fit in the AK74 chest rig? 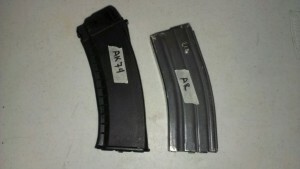 Yes, the AK47 mags will fit super tight and the mag does not sit as deep because it is a smaller rig. 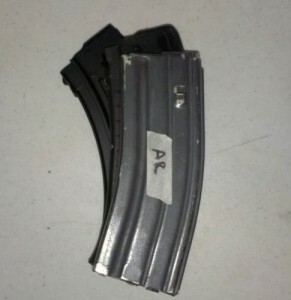 Here are a few pics of the mags side by side and on top of one another to show the size and curve of each mag.